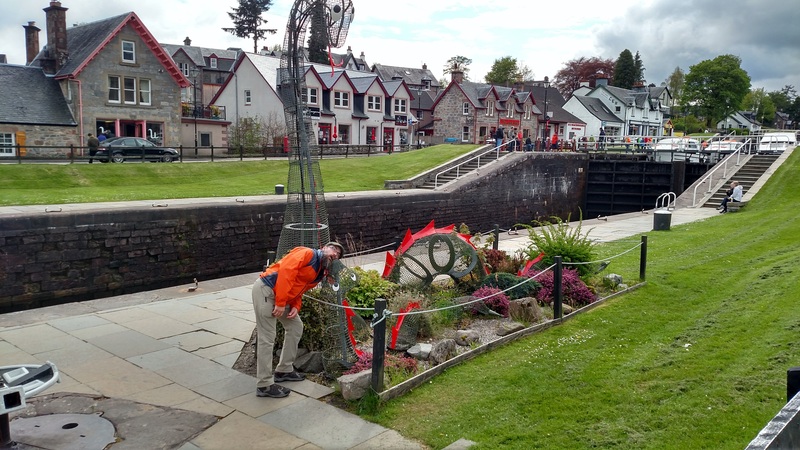 After our adventures in the lowland cities of Edinburgh and Glasgow, we hoped on a train and headed to the highlands; first stop: Fort William. 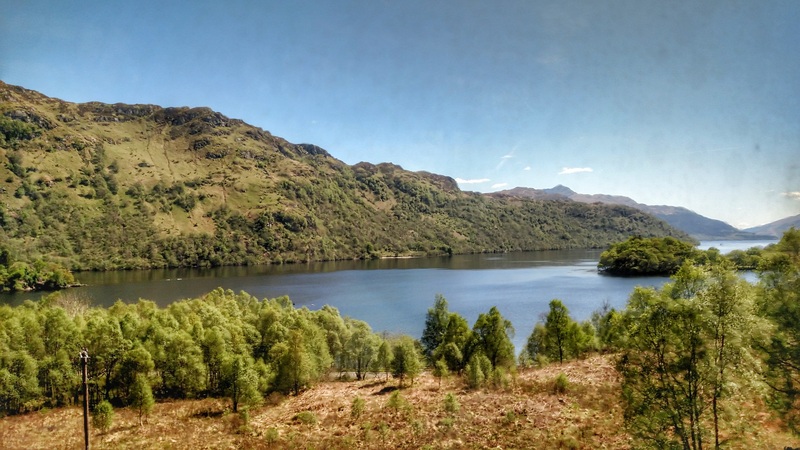 This leg of our trip was devoted to the Great Glen Way. We used the inimitable Mac’s Adventure travel group to plan and make this trip a reality, and I can not recommend them more. 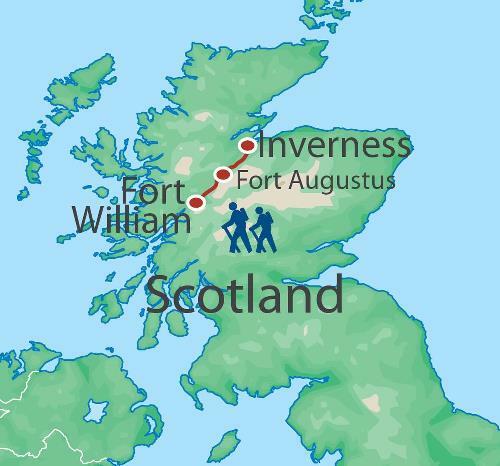 The long-distance trail is about 71 miles long, through the highlands, and links Fort William to Inverness. 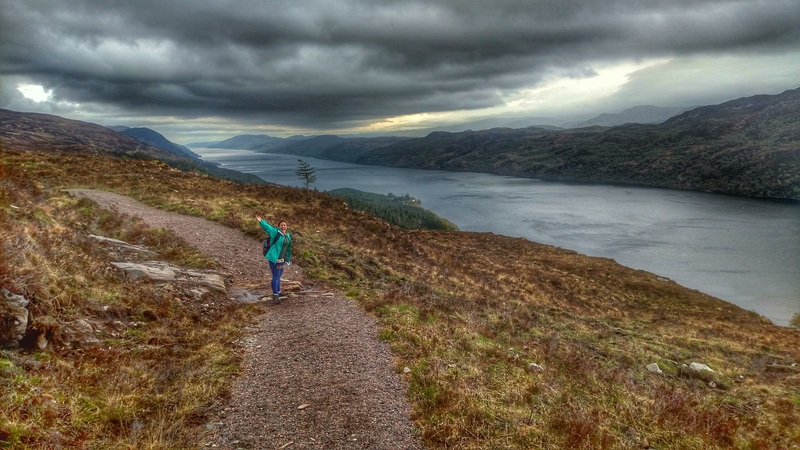 The trail follows the major natural faultline of the Great Glen which divides Scotland from coast to coast. We decided to do the hike over 7 days. We started with an extra day in Inverness, which gave us the opportunity to hike to the top of Cow Hill and enjoy the continued amazing spring weather. Before we started our hike, we went to a little shop in town and got the most delicious filled rolls. We saw sheep, a couple of dogs, and a cat, but sadly no coo. We also got to see Ben Nevis, the highest point in Britain. Someday we hope to return and scale the mountain! The next day we prepared to start our 71 mile hike. 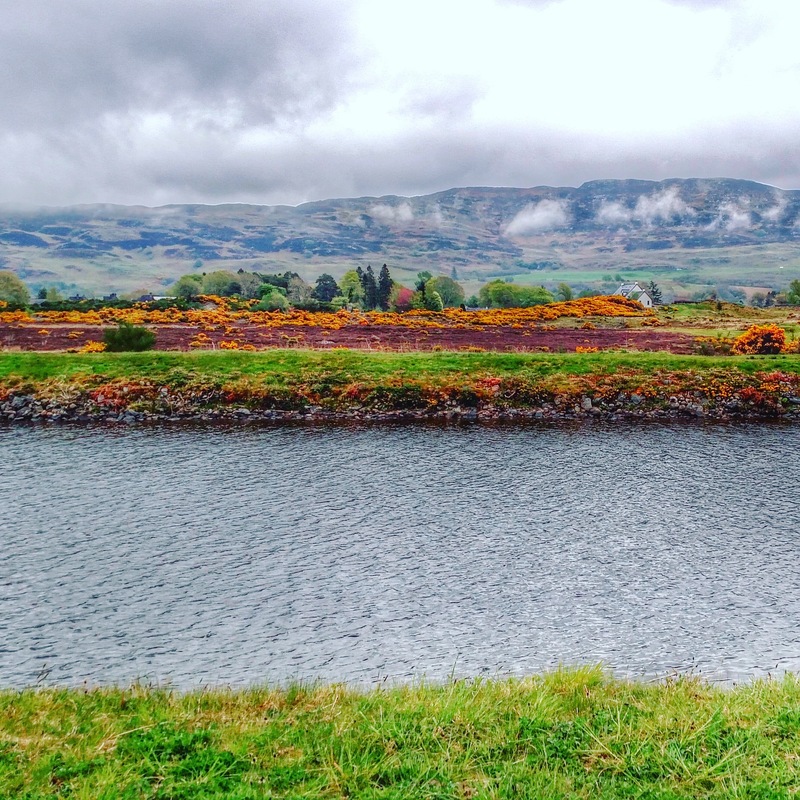 We stopped in town at the West Highlands Museum to learn more about the Jacobite rebellion and life in the northern reaches of the British Isles. 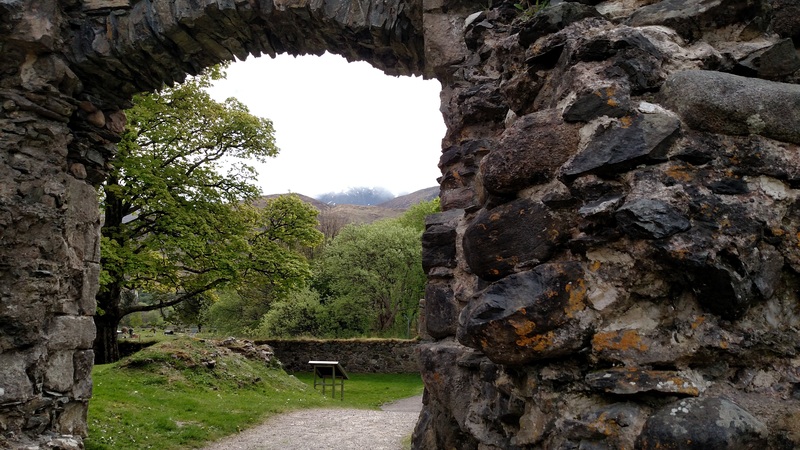 At the beginning of our hike we got to stop in and explore the Old Inverlochy Castle ruins. Magical! We grabbed lunch on the sides of Neptune’s Staircase loch system, then got to the real business of the walk. The rest of the day was spent walking along the canal towpaths, a real feat of Scottish engineering. We stayed at a nice B&B in Gairlochy, and grabbed the most delicious dinner in Spean Bridge at Russell’s. I must be hungry, because all I can think about is all these great Scottish meals we had… After dinner, we were exhausted by the first day of hiking, and looking forward to another day on the path. The next morning, we met a great couple, Matt and Sandy, at breakfast. They were also on the hike, and avid walkers from England. We ran into them at several of our accommodations and along the trail, and they were a delight! The most important thing they taught me was to bring a thermos on the next trip to take tea for a mid-morning hiking break. We continued on Laggan the next day. This was a memorable day with nice weather at the beginning of the hike, lovely woods and shoreside hikes, and a nice detour into Cameron lands. Sadly the Cameron museum was closed, but we did have the opportunity to take a nice side-tour to see the Chia-aig waterfall, of Rob Roy fame. We crested the hill, greeted by sheep, and headed down the hill into Laggan. A small town, our hosts were nice enough to drive us to a hotel for dinner (steak and ale pie with chips!!). We spent the evening in the parlor with some British couples, and rested up for yet another day of hiking. The next morning, the real hiking began. We were no longer on nice flat canal tow paths or gentle hills along the lochs. We were through the woods, steep steep, up up, all the way to the top of hills just like you’ve seen in the movies. Below us, Loch Ness, the tiny speck of Fort Augustus and the canal locks behind us, and wilderness all around. It was perfect and beautiful, and made even better by the bacon sandwich I had saved from breakfast for the moment we crested the hills. We enjoyed the views all morning, and by the afternoon we were headed down the path into the small village of Invermoristen.